Dynamic Displays QES2014-116, 14 In Color CRT Display used in Walter Grinder. Model QES1512-233 12.1 In LCD replaces Dynamic Displays, Inc. QES2014-116, 14 In Color CRT Display used in Walter Grinder Control. The rugged QES2012-238 is a sturdy 12 inch color RGB LCD monitor designed as a direct replacement for Dynamic Displays' QES2014-116 CRT monitor used in Walter Grinder machine tools and other industrial applications. 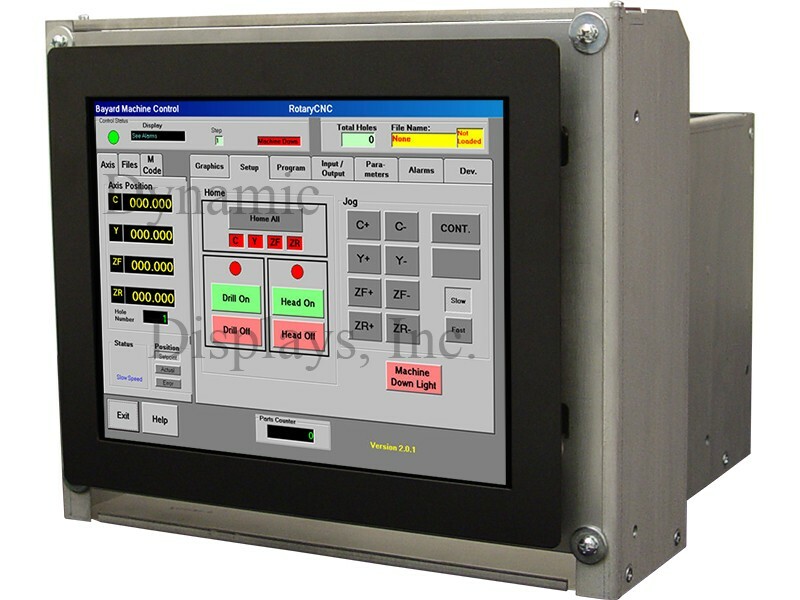 Packaged in an rugged open frame chassis, this sturdy 12 inch LCD monitor fits the Walter Grinder machine tool control and in many other modern industrial or military environments. Check out our Legacy monitor cross-reference chart. We currently have Fanuc, Mazak, Allen Bradley and Toshiba replacement monitors in stock as well.